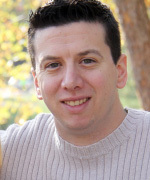 David Langdon is a Licensed Professional Counselor in Missouri. He received his Bachelor's degree in Psychology from Park University in 2006 and his Master’s Degree in Counseling Psychology from Avila University in 2010. David has worked with co-occurring illnesses (mental illness and substance use disorders) his entire career. He has worked at non-profit and for-profit outpatient hospital clinics in the Kansas City area before entering private practice. David utilizes cognitive behavioral and solution focused approaches in order to assist each person with meeting with their individual goals. He also has training in motivational interviewing in order to assist individuals with developing motivation for making changes in their lives. David specializes in working with anxiety disorders, mood disorders, and substance abuse disorders. David is a married father of two who enjoys music.